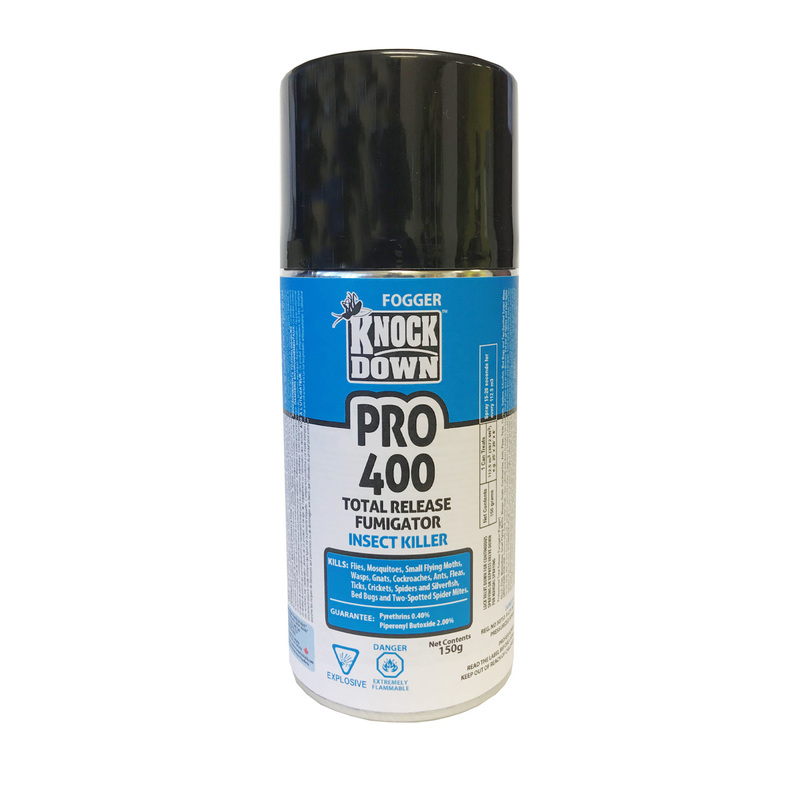 KD400P – KNOCK DOWN – TOTAL RELEASE FUMIGATOR – PROFESSIONAL – KUUS Inc.
SKU: KD400P Categories: Knock Down, Professional Products - Not for retail sale. Please inquire. Do not use in dwelling in food storage handling, or service establishment as a total release bomb with valve locked open. Product can be used manually or valve can be locked in open position for total release. To lock valve in open position for automatic discharge, depress valve lever down firmly until it clicks and stays depressed. For best results, first spray distant rooms manually spraying towards ceiling. Four to six seconds is ample for average room 3mx3mx3m (10ftx10ftx10ft). Also spray into cracks and crevices. Place can on stand or table in centre of unobstructed area, then lock valve down. Leave area at once and keep closed for 2 hours before airing out. When finished, open all windows and doors and ventilate for 30 minutes. Repeat spraying in two weeks or when necessary. This product will kill exposed insects only and has no residual activity. Do not use in dwelling or in food storage handling, or service establishment as a total release bomb with valve locked open.